Bahubali – The Beginning, the first of the two part story and one of the most awaited movies of the month, has been released in theaters across the country on 10th July 2015. Coming from one of India’s finest and brilliant director, S.S. Rajamouli, multilingual film is also the most expensive and most prestigious flick in Indian cinema. This movie has Prabhas, Rana Daggubati, Anushka Shetty, Tamannaah, Sathyaraj, Nassar, Ramya Krishnan, Sudeep, Adivi Sesh, Prabhakar in the main roles. It has been produced by Shobu Yarlagadda and Prasad Devineni. The film tells the tale of Shivudu (Prabhas), a prince who is unaware of his origins as he is raised by a tribe. Shivudu, who is blessed with some exclusive skills, is smitten by Avanthika (Tamanaah), who belongs to another tribe responsible for rescuing Devasena (Anushka Shetty) from a critical situation. Shivudu, becomes a part of this team and during the mission reaches the kingdom of Mahishmati, ruled by King Bhallala Deva (Rana Dagubatti). This one action changes the entire life of Shivudu, who comes face to face with his past in this kigdom. To know what happens next, get a ticket of this movie and watch it in your nearest theatre. Bahubali has many things going in its favor, despite the fact that it took 3 years for movie to reach the cinemas. The most important of these is of course the brand name of S.S Rajamouli, whose every movie is one of its kinds. Among the other things that make Bahubali a must watch movie are the extremely high quality graphics, the excellent performance of Prabhas and Rana, who have actually given the movie its gigantic look and the brilliant storylines that runs at a smooth pace. 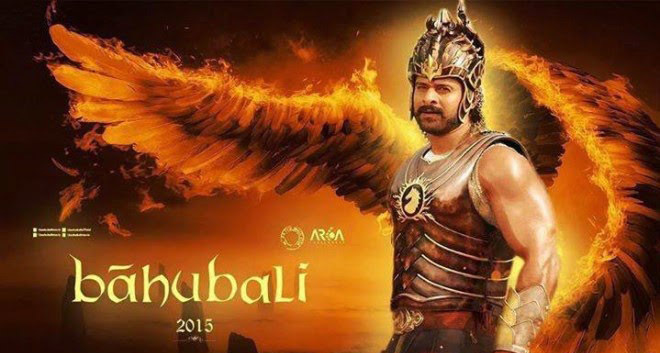 Overall, the movie is a must watch and IndiaCafe24 gives Bahubali a rating of 4.5 stars.